Hotel Vrindavan Udaipur, a budget hotel is located with the majestic Aravalli hills in its backdrop that run over 350 miles. Located in the heart of Rajasthan, Hotel Vrindavan Udaipur radiates with the charm of an era characterized by the grandeur of royalty. 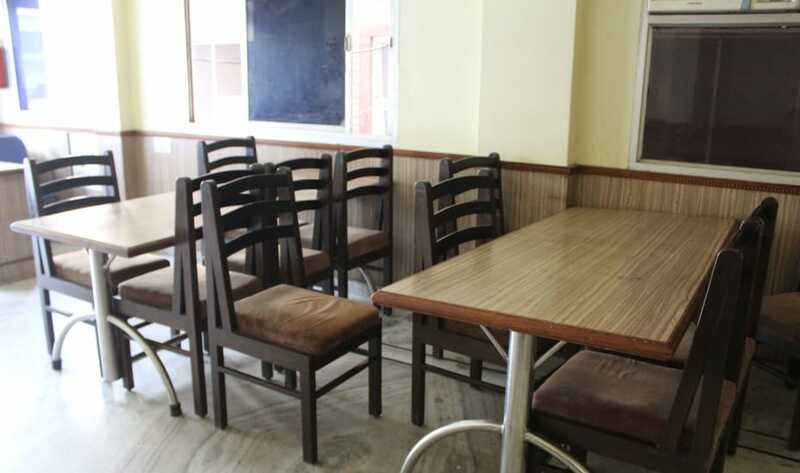 The hotel is well connected with the national highways and is just one kilometer from the railway station, and situated at the city centre. Hotel Vrindavan Udaipur is only a few minute drive from the major tourist destinations of the city such as Sajjangarh Fort, City Palace, Crystal Gallery, Jagdish Temple and Sahelion Ki Bari. Hotel Vrindavan is one of the elegant and stylish budget hotel in Udaipur. It is situated in a very convenient location providing easy access of our hotel from railway station, bus stand and all major destinations. Doorman, Baggage Storage on Request, Travel Counter, Safe Deposit Box-Front Desk, Room Service, Secretarial Services, Laundry Facilities, Catering, Currency Exchange, Security Guard. Television Room, Curtains/Shades, Refrigerator Room, Dustbins, Iron/Ironing Board, Complimentary Newspaper, Complimentary Toiletries, Cable/Satellite TV, Smoking Rooms, Attached Bathroom. Secretarial Services, Room Service, Restaurant, Parking, Laundry Facilities, Doctor on Call. User reviews for "Vrindavan Hotel Udaipur"